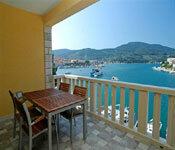 Croatian Villas is working hard to ensure you receive additional value for money wherever possible. Look out for our Great Offers Love Discounts applicable on specific properties which are offering significant value added benefits/discounts. Additional ‘giveaways’ worth up to £600 at SB002! Guests staying one week at SB002 are entitled to either a COMPLIMENTARY whole day boat trip worth around £150 or a 2 course seafood dinner to include half a litre of wine each worth around £450 based on 9 persons. Guests staying two weeks are entitled to both the whole day boat trip and the dinner. Stay at the following Istrian Properties for a min 7 days and get one FREE ticket worth £50 to see glorious Venice by catamaran. Must be booked with one adult ticket. is offering a complimentaryWelcome Dinner for all those guests staying between 1st Jan 2009 – 31st May 2009 and 1st Oct 2009 and 31st Dec 2009. Stay at apartmentKC003A and KC003Bfor 3 days or more and receive a COMPLIMENTARY half day snorkelling*, kayaking*, quad buggy or cycling tour with lunch included. Snorkelling and Kayaking not available during winter months. Complimentary dinner available for all guests staying 7 nights or more at PJ008. Property PJ008 is offering a complimentary 3 course meal* for up to 4 persons for all guests staying one week or more. Stay at apartmentKC008 for 7 nights or more and receive a COMPLIMENTARY authentic Dalmatian lunch or dinner prepared at a nearby secluded beach, Includes drinks and transfers. Get 10% off all stays at BC005, BC014, HV032 between now and 30th May 2009. Get 10% off all stays between now and 30th May 2009. Minimum stay 3 nights. BC005 – 3 Bed. 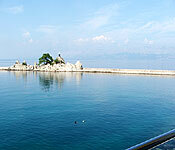 Villa on Brac Island, Sleeps 6. HV032 – 4 Bed. 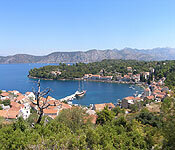 villa with pool on Hvar Island, Sleeps 8-9. Get 10% off with possible free boat trip if you book this lovely waterfront villa on Korcula Island sleeping up to 11 persons. Villa offers are subject to availability and booking conditions. Cash alternative not available on above offers.